Yup, another Ecuadorean legend here! (See here and here for two others.) This one could be used as part of a legends unit or with a health unit because two of the main characters are curanderos. The name of it is "El Kuychi," which according to the video below, is "el arcoiris blanco que aparece en el invierno." That mean looking guy below is el diablo Supay. Click here to get the free resources. Feel free to make a copy and make changes, but if you enhance activities and/or create new ones, please share back! I am sharing all of this for FREE, but if you think it is useful and has saved you some time, feel free to give back here in Radiohead style (click here to see what I mean by Radiohead style). And if you want another legend with very similar resources, click here for Las Guacamayas or click here for a more in depth unit about El Kichwa en el Ecuador. 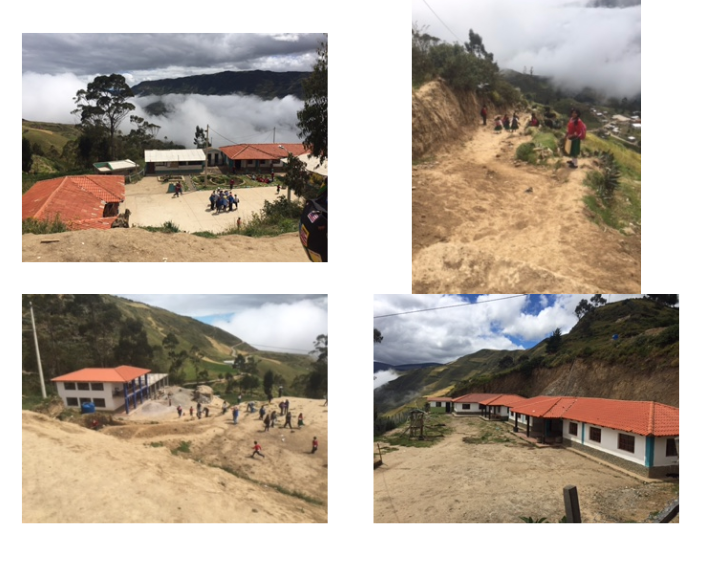 I traveled to Ecuador this summer through ICTFL with EF Tours and it was amazing! I am very excited to teach about Ecuador this year. So, recently in my quest for engaging Ecuador resources, I discovered this YouTube Channel Zonacuariotv and I love it! It is from Ecuador and geared towards children. I found it when I was creating this unit: El Kichwa en el Ecuador. I love the wawa kichwa videos series to learn kichwa and I incorporated some of those videos into that unit. I am offering all of this for FREE, but if you think it is useful and has saved you some time, feel free to give back here in Radiohead style (click here to see what I mean by Radiohead style). I love embedded readings that lead to an authentic text, especially when it has authentic AUDIO and VIDEO! If you want to learn more about embedded readings, click here to go Laurie Clarcq's blog. I recently created two embedded readings that will lead students to understand the audio in this video below. You can see the second version linked here in Arianne Dowd's post (free). You can see the first version and other activities for the whole thing here (or here in this bigger unit about kichwa in Ecuador). Find an authentic text or an authentic video/audio. If it is a video or audio, transcribe it so that I have a text. I make a table with three (or four) columns. Put the authentic, final version in the last column. Work backwards and take pieces out to simplify. I make two (or three) other versions in the other two columns. Column one is the simplest version. 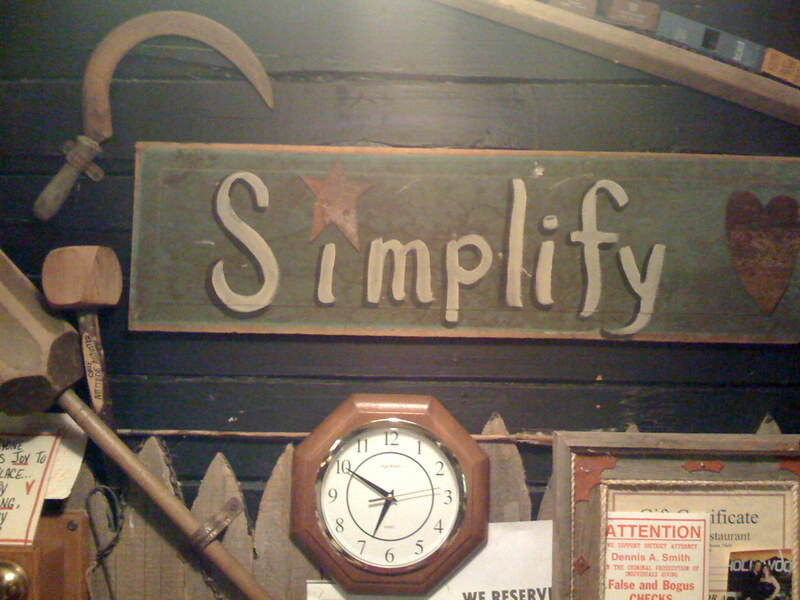 Simplify the language, but also include some of the authentic langue too. Important: Leave out some of the important details and leave room for predictions! That will help build the anticipation. These are some of the (free) embedded readings that I have made and used in the past. El Niagara en bicicleta (a song by Juan Luis Guerra) - This was one of my first ones that I made. It is not in column form and there aren't many activities developed. But after we do this, students are able to understand the song. It is part of this unit. El sombrerón (a Guatemalan legend) - I LOVE this one and the final version is authentic audio. This is part of my fear and legend unit. Echar pa'lante (a song with a great video and message) - I love this one because it also has the final version is authentic audio. No voy a levantarme (a Sr. Wooly song, so not authentic, but still a good one, espcially if you like "Smells like teen spirit." He has given me permission to share.) - It is part of this unit. This school visit inspired me to learn more about kichwa. I traveled to Ecuador this summer on an EF Tours trip with ICTFL (even though I am from New Hampshire). I was fortunate to travel with the wonderful Carrie Toth and we knew that we would have to create something Ecuador-related to use in our classrooms. So, we have been working on a unit based on the video/song "Si tú la ves" and I can't wait to share that soon! But, as I have been creating that, I went down a rabbit whole of kichwa (yup "kichwa," not quechua) related resources and I created a unit that could go along with the "Si tú la ves" unit or it could be a stand-alone unit. It is called "El kichwa en el Ecuador" and I am so excited to teach this unit!! ¿Es importante mantener vivos los idiomas y las culturas? ¿Por qué sí o no? ¿Qué es la interculturalidad y cómo y dónde está presente en el mundo? A interpretive reading activity about bilingual (kichwa/español) schools (based on a simplified version of this article). Students could do this alone, in groups or as an entire class. During the last four days, I have been thinking a lot about all the "ingredients" that we teachers use in our classes. As teachers, we all have our own "soup" that we serve to students. (I'm pretty sure that I read this metaphor on someone else's blog.) Every teacher's "soup" is unique and there is no exact, correct recipe for language teaching. (But yes, some soups definitely "taste" better and are more nourishing!) My soup ingredients have changed a lot and my soup has gotten much better in the six years that I have been sharing on this blog, partially because it is a place of reflection, but just as much, it has helped me to create an amazing PLN that I learn so much from! I have spent the last four days at the Express Fluency Teacher Training in Brattleboro, VT. During this time, I observed some amazing teachers (Tina Hargaden, Grant Boulanger, Dustin Williamson, Annabelle Allen -AKA la maestra loca, Elissa McClean, and Justin Slocum Bailey) in classes and learned a ton from them at sessions too. One of the best parts of this conference was observing CI classes (if you can find a conference where you can do that, go!). I spent two days acquiring some French in Tina Hargaden's class. She is an amazingly skilled CI teacher. She made it so easy that at times that I didn't even realize I was sitting in a French class. I feel like I can really implement some of these CI strategies much better now. Another highlight was that my sons (9 & 12) were able to be in class for four days with Annabelle Allen and Grant Boulanger. They really enjoyed the classes and acquired a lot. My boys even made comments about how this way of learning (really acquiring) Spanish is so easy and fun. Resources and ideas from so many awesome teachers/bloggers/sharers/publishers: Arianne Dowd, Carrie Toth, Nelly Hughes, Mike Peto, Dustin Williamson, Kristy Placido, Carol Gaab, Elena López, Amy Zimmer, Cristina Zimmerman, Martina Bex, Sharon Birch, Bethanie Drew, Zachary Jones, Cynthia Hitz, and others too! After these last four days, I have a some new "ingredients" to add to my soup. I hope to share more about these new ingredients during the school year! How to assess the "Communities: Lifelong Learning" standard? I love the Communities: Lifelong Learning standard, but how to assess it has always been tricky for me. I (and many others, like Laura Sexton most recently) have blogged about "choice homework". In my classes, I call it "Tarea Semanal" it has gone through many variations, particularly in how I grade it and what percentage of my students' overall grade it counts for. First semester of this year I will be teaching Cultura y Civilización (Spanish 4/5/+) and Spanish 3, and both of those classes will do Tarea Semanal. I know that this is not a true standard based grading approach, because if it were, there wouldn't be one grade, but rather several (possibly 11 for the standards and sub-standards)... but this is the best I can do under the system that I am working. There is so much overlap with these standards, but having these categories will make me focus on making sure that I am assessing all of them. So, anyways, how to does Tarea Semanal fit into all of this? Tarea Semanal will be the way that I am assessing the Communities: Lifelong Learning standard and I have come up with this rubric (click here to see it) to help me assess my students. The rubric (like all rubrics!) will help in several ways: explain my expectations to my students so they can meet "exemplary" in this standard, give them more targeted feedback, and help me to give them a fair grade. Do you use Standards Based Grading? How do you assess the Communities: Lifelong Standard? Have you seen the video for "Robarte un beso" by Carlos Vives and Sebastián Yatra? The song is catchy, easy to understand, and appropriate! And the video is sweet and appropriate too! You can find them all on Teachers Pay Teachers in Arianne's store. We are sharing this slideshow (click here for PDF) that tells the story of the video. And here is a basic cloze activity and a "put in order" activity for the song lyrics.